Future Hendrix was spotted partying at Compound this past weekend and he had a familiar face by his side… one of his baby mamas! You may remember Brittni Mealy as the ‘baby mama’ who Ciara was beefing with online about the popular rapper (click HERE if you missed that). 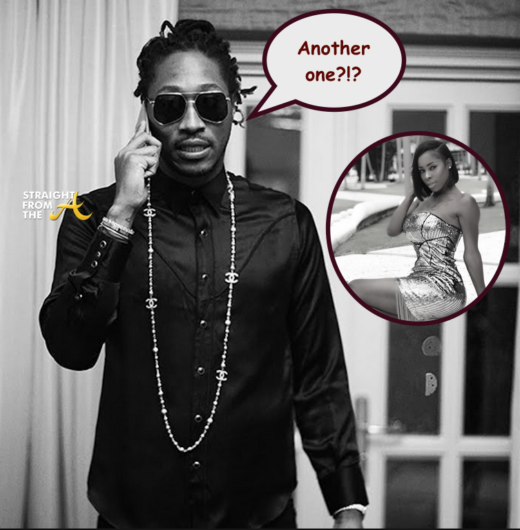 She’s also the one ‘baby mama’ that Future seems to return to time and time again. Others spotted at the Atlanta hot spot included Porsha Williams (RHOA), Meek Mill, and more. Welp… I guess it’s official between rapper Future and stripper/socialite Blac Chyna now. These days, couples make things ‘permanent’ by tattooing their lover’s names somewhere on their bodies instead of exchanging rings. For example, Ciara and Future (real name Nayvadius Cash) got ‘engaged’ by tattooing each other’s initials on their ring fingers (she’s since got it removed) and then she got knocked up and even covered an issue a bridal magazine… all without a ring! 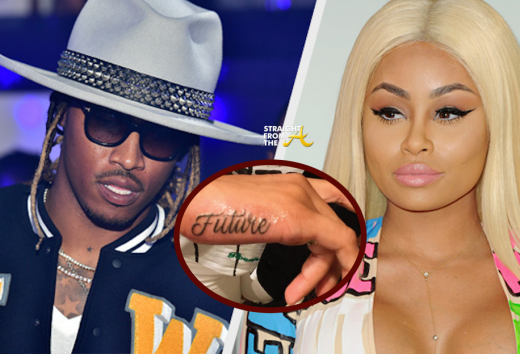 Now, Blac Chyna, another impressionable young lady, has fallen for Future’s ‘magic’ and recently proclaimed her love of the rapstar by inking his stage name on her body as well, sharing it on Instagram. Singer Ciara was spotted posing with her model friends as she attended to Polo Ralph Lauren fashion show at Cherry Hill in Central Park on September 8, 2014. 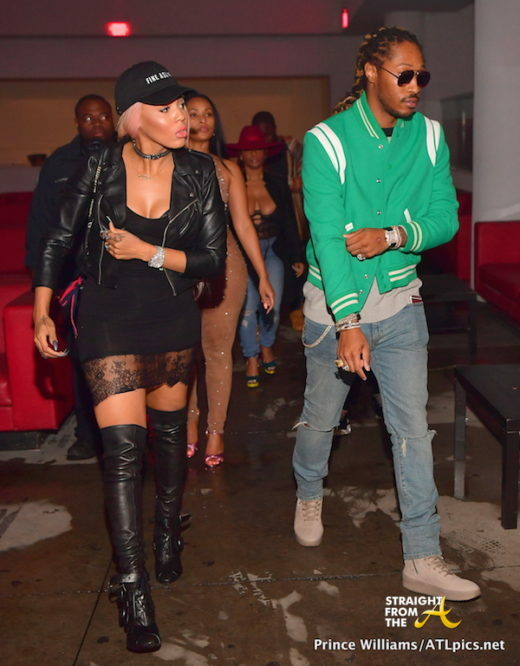 The single mom is currently enjoying the festivities of Mercedes-Benz Fashion Week Spring 2015 and although the net is buzzing about how she and her baby daddy, rapper Future, hooked up last weekend, it seems CiCi is living the ‘single’ life in NYC…. or at least that’s what she wants Future to believe. 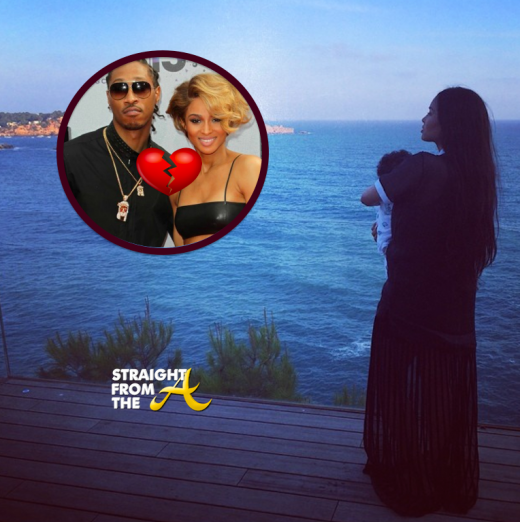 Welp… it’s officially over between musical ‘power couple’ Ciara and Future! 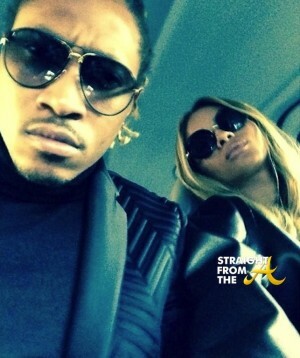 It was just a few weeks ago that Ciara rocked an identical hairstyle to Future’s and now she’s reportedly called off her engagement to the popular rapper. You remember Brittni right? She’s one of Future’s Baby Mamas who Ciara was sending those subtweets to a while back (click HERE if you missed that). While many say the break up was due to Future ‘cheating’ on Ciara, word on the curb is that he never really fully broke up with his baby mama Brittni Mealy and Ciara knew it way before she got knocked up.